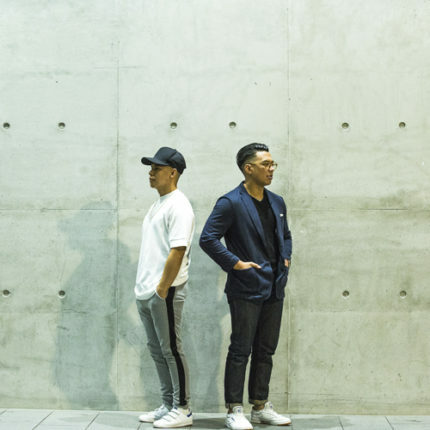 The brains behind Midnight Pool Party are Sydney locals Morilla and Oliver Dela Cruz, who are together crafting addictive electronic dance music, that is infused with a rich palette of dance, electro, r&b and hip-hop influences. Since their beginnings in 2013, Midnight Pool Party have evolved from their classic-disco style to a more mature electronic-house realm. Their recent remixes of Daniel Johns (‘Ariel Love’) and Miike Snow (‘My Trigger’), along with their cover of Frank Ocean’s ‘Thinkin Bout You’, helped usher in this new era in their sound, and there was no turning back. As Midnight Pool Party began moving in this direction with their songwriting & production, Morilla also experimented with his vocals and lyrics, capturing what was to him a more natural-feeling sound, drawing on his influences from artists like Drake, Pharrel Williams and Anderson Paak. Without losing the true Midnight Pool Party essence, they continue to bring an infectious groove to everything they create using an assortment of lush-sounding synths, smooth thumping bass-lines, playful key-noodling and strong infectious vocal-hooks. In 2017 they released their long-awaited debut ep ‘Dalliance’, which is pure evidence that they are indeed moving in the right direction. The ‘Dalliance EP’ received praise & attention from old & new fans all around the globe. With key singles ‘Waiting’, ‘Vulnerable’ and ‘Collide’ collecting over 700,00 combined streams on Spotify alone, Morilla & Oliver were left feeling utterly proud of everything they had accomplished, and are already back in the studio working on new material.